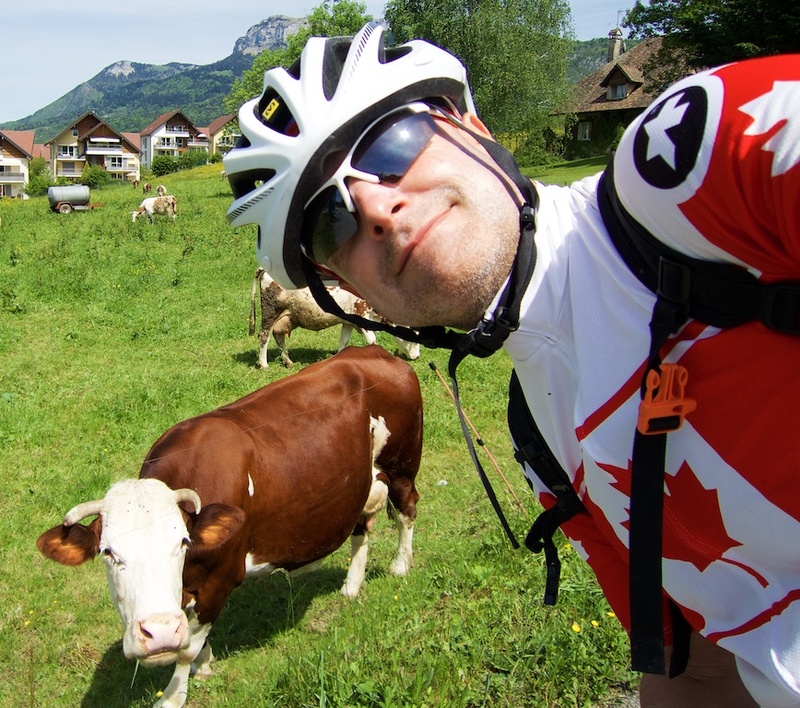 The road to both Cols in this ride are fully paved. But bring hiking shoes to go higher and find the best views. 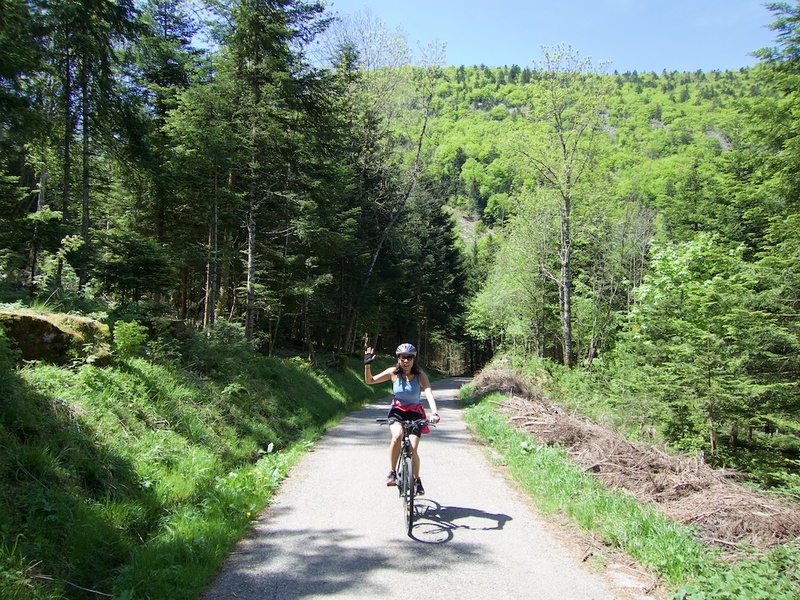 There is a beautiful little forestry road that loops behind the mountain and climbs to Col des Contrebandiers (Smuggler’s Pass). Careful, if you look at the map below, you’ll notice that I got lost near the beginning. But once you find the little communication tower, there are plenty of signs to Col des Contrebandiers. While Doreen headed up towards Contrebandiers, I did a quick there back to Col de Pré vernet (917 metres) – the turn off is clearly signed – and labeled on the map below. Note, if you zoom the map you’ll see there is a (very steep) unpaved road/path from Pré Vernet up to our final viewing spot. We locked our bikes to the Col des Contrebandiers sign (1054 metres) and followed the hiking trail to the ancient Télépherique platform. 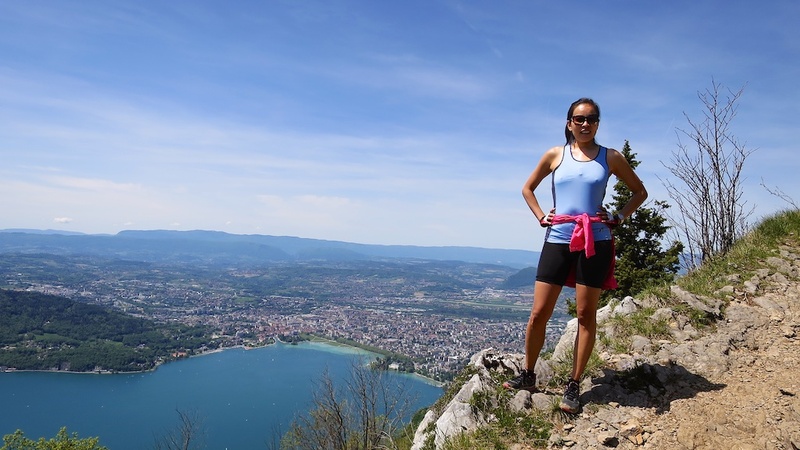 It’s a little more than a kilometre – impossible by bike – further to some truly fantastic views of Lake Annecy and the surrounding mountains. It’s a relatively popular spot with hikers that use leave there cars at either col and walk up. But we found a quiet spot, caught our breath and enjoyed lunch. 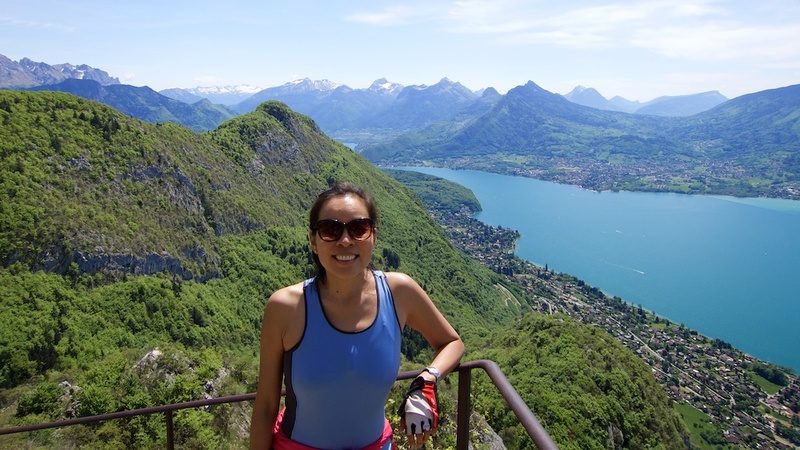 For details of the ten best cycling climbs around lake Annecy see here. 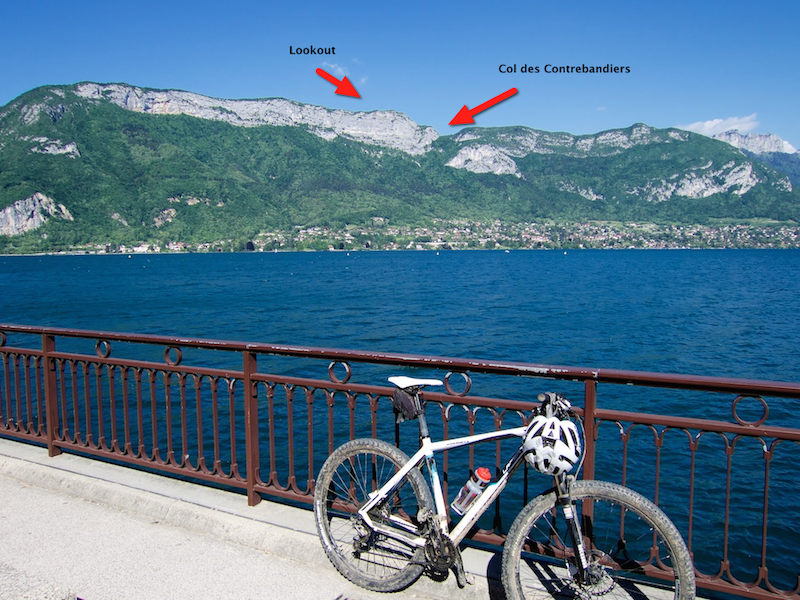 For those familiar with Lake Annecy, in photo below, that is Le Semnoz, one of the great cycling climbs in the region. 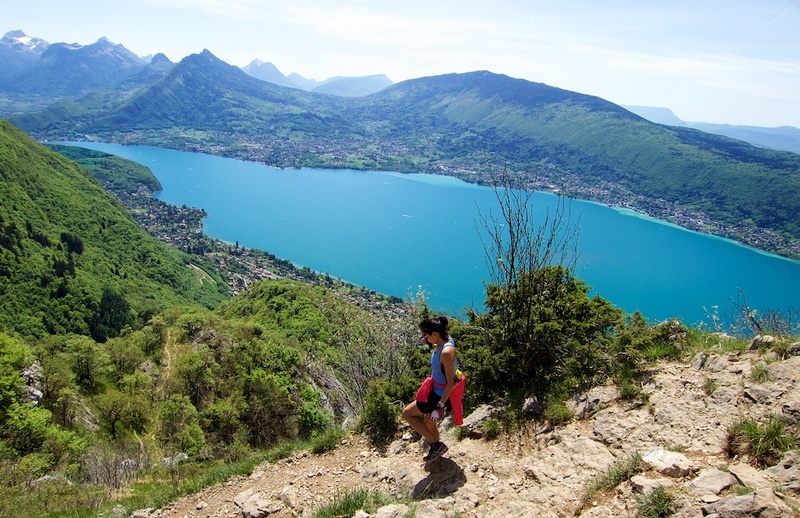 This is a great way to spend a sunny day near Annecy. And again, both these cols are possible by road bike. But bring shoes you can hike with so you can enjoy the view.